The model is built to scale - every component is made from precision-cut cardboard and assembled around a steel and aluminium frame. The origami car comes complete with a fitted interior, functioning doors and rolling wheels. Powered by an electric motor, the model IS can be driven as long as speeds are kept low. Safety-conscious drivers will be glad to know that the headlight function remains and the crumple zones are extremely large. 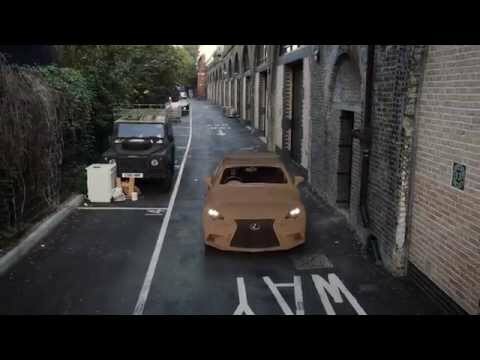 Lexus partnered with LaserCut Works and London-based specialists Scales and Models, and worked from a 3D computer model as a starting point. Constructing the cardboard car took three months from start to finish, with each piece hand-crafted with the utmost care. 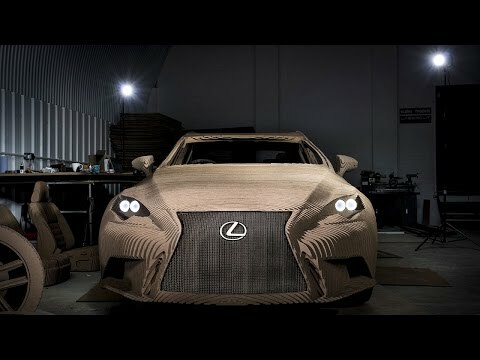 The origami Lexus IS was revealed to the public on October 8 at the Grand Designs Live show in Birmingham. If you missed seeing the cardboard model, Jardine Lexus has metal versions available to view and drive at our dealerships in Cambridge, Newcastle and Ipswich.